Trips typically leave SJP at 2:00pm and return by 7:00pm, earlier in many cases. Check permission forms for specific details. As with all field trips, spaces are limited, and permission forms must be returned to Mr. Smith in K219 if you'd like to go. ​Click for Photos and Stories! Note: you must fill out BOTH and return them to Mr. Smith by Monday 10/16 in K219. Click for Photos and Stories! The National Expo for U.S. Green Building Council is being held at the Hynes Convention Center this year, and we are going! Thanks to the Boston Chapter of the organization for helping us with tickets. Every type of technical advance for home and business sustainability will be on display. Mainline companies like Home Depot will be highlighting their sustainability products along with companies specializing in solar, wind, water, energy storage, landscape architecture. Today, pretty much every part of the physical world we live in is being studied, and its energy characteristics improved. - check the interactive floor display to learn more. Click Here for the SJP Permission Form. Ever wondered why Massachusetts is one of the country's hotbeds for innovation? This trip to Mass CEC will show you exactly why. Mass CEC is a regional green tech development organization that works to identify, support and accelerate to movement of great ideas to great products in your community. Among other things, Mass CEC is home to the largest wind turbine blade testing facility in North America. If it's a clean energy idea in the US, there's a good chance that it started in this state and that Mass CEC had something to do with it. Click here for SJP Permission Form. ​Danvers, MA Biotech: Abiomed is a fast-growing research and development lab located right in Cherry Hill. 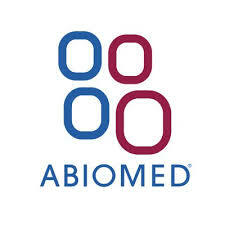 Inventors of one of the first artificial hearts, Abiomed today has developed an incredibly small pump that has the potential to make heart surgery cheaper, less invasive and medically less complicated. Their Impella heart pump, no bigger than a pencil eraser, can act as a support to people with damaged hearts, during surgery, and during recovery, making it a flexible new tool in the fight for better patient outcomes. We are grateful and excited about the chance to meet the team of people Abiomed has set up for us! ​​Middleton, MA Research Facility: Visit the former linear particle accelerator, with its underground beam apparatus, magnetic steering and advanced vacuum systems. 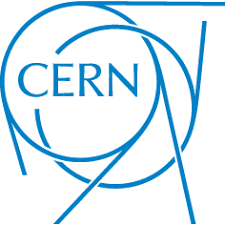 Also in the facility are the number-crunching apparatus for CERN's LHC (large hadron collider), food experiments from MIT's Open-AG initiative, and more. Fascinating place that is busy in its new life as an all-purpose research facility. Click here to see some of their current projects. Permission forms are coming soon! 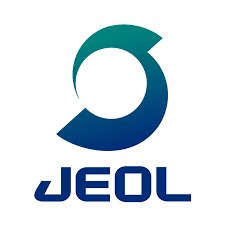 ​JEOL is a leading global supplier of electron microscopes, mass spectrometers and NMR spectrometers with its headquarters and demonstration lab in Peabody MA. Our visit to the lab will include the use of JEOL's Scanning Electron Microscopes. These SEMs can image a variety of things, from nanoparticles and nanotubes to viruses and cells to semiconductor devices and solar cells to bugs and leaves. The world of nanotechnology has brought materials science to levels of design that are much different and more powerful than they were twenty or even ten years ago. Medicine, pollution prevention, and computer chip design are all aided by the power of JEOL's instruments. We are very, very excited to visit with this pioneer and industry leader. We are finalizing dates for visits with JEOL - in the mean time, check out their video to get a feeling for the company's products and research. Click here for permission forms. ​​Waltham Biotech: speak with scientists, engineers and financial officers. 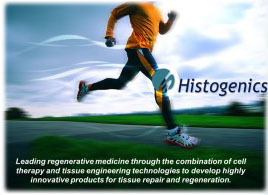 Learn about NeoCart, a new approach to replacing damaged cartilage, in which a patient can donate his or her own cartilage cells, have them cloned and altered so that they are programmed to regrow healthy tissue. This is especially amazing because cartilage, like brain cells, never repair themselves after birth. The program also includes conversations with company representatives in finance and regulatory fields who will explain that there's much more to launching a successful company than just having a great scientific idea.